About Mabel N. McCaw (Author) : Mabel N. McCaw is a published author. A published credit of Mabel N. McCaw is A Friend At Church. 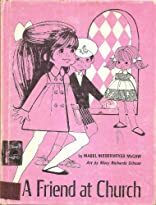 About Illustrated by Mary Richards (Illustrator) : Illustrated by Mary Richards is a published illustrator. A published credit of Illustrated by Mary Richards is A Friend At Church.